HUNTSVILLE, Ala., October 20, 2010 – LINE-X Protective Coatings, the nation’s leading developer and provider of high performance protective coatings, is gearing up for the 2010 SEMA Show November 2-5, 2010 at the Las Vegas Convention Center. This year LINE-X brings not only its full line-up of products showcasing its many uses for spray-on truck bedliners and industrial coatings, but will also highlight its involvement with Tim Samaras and the LINE-X coated GMC Sierra chase truck from the Discovery Channel’s Storm Chasers. LINE-X will also be featuring its newest product, ASPART-X, an industrial polyaspartic polyurea protective coating for flooring. Although widely known for its bedliner coatings, LINE-X has broadened its product offerings and is now using LINE-X and ASPART-X for many different industrial applications. LINE-X will be in booth #35145 in the Upper South Hall. The actual LINE-X coated “TWISTEX Probe” used in filming Storm Chasers will be on site at SEMA in the LTAA booth #36095, alongside Tim Samaras who will be signing autographs on Wednesday, November 3, between 9:30 a.m. – 12:00 p.m.
Samaras is well known from the Discovery Channel hit series Storm Chasers – a documentary series that follows extreme weather enthusiasts on the hunt to catch rare footage and data from the world’s most violent tornados. 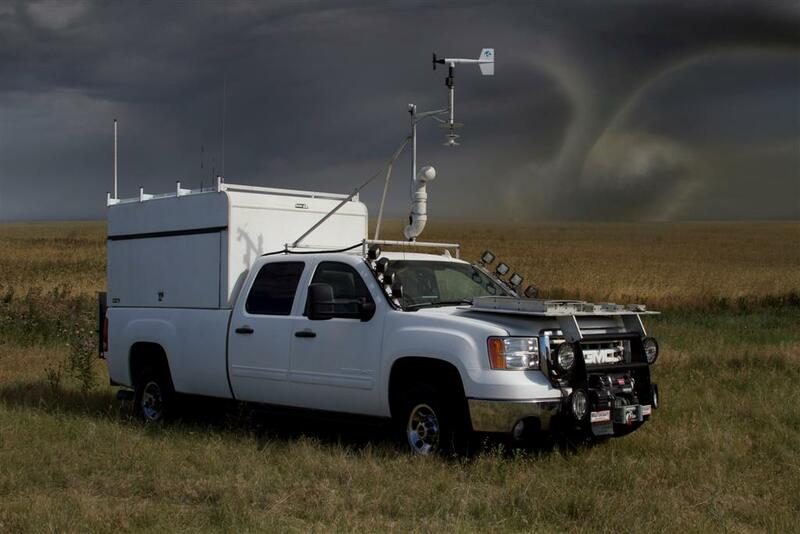 This past spring, LINE-X was invited to be a part of Storm Chasers by spray coating the entire GMC Sierra “TWISTEX Probe” tornado chase truck with LINE-X Protective Coatings to help shield the vehicle from the extremely high force winds and severe weather present in tornado conditions. “This was the ultimate field test to prove the rugged capabilities of LINE-X Protective Coatings. There was no damage from hail, debris or high force winds and we are very proud of our products,” said Kevin Heronimus, CEO of LINE-X Protective Coatings. Storm Chasers airs Wednesdays on the Discovery Channel at 10:00 p.m. Eastern. With the soft launch of ASPART-X completed, LINE-X selected SEMA to make the official announcement of its newest product. A ZERO VOC, aliphatic polyurea, ASPART-X provides superior U/V stability and is a versatile coating with virtually limitless possibilities. From residential decks, patios, garage/basement floors – to commercial & industrial applications – ASPART-X provides unsurpassed protection from the elements. In addition, LINE-X has partnered with Pro Pickup Magazine to sponsor the BIG BOSS sweepstakes drawing for a chance to win a fully customized 2010 Ram 2500 4×4 Crew Cab diesel. Custom upgrades include a specialty LINE-X coated blue bedliner, silver lower rocker panels and Road Armor bumpers using LINE-X® XTRA fortified with DuPont™ KEVLAR®. One lucky contractor will take home this dream truck with all of the accessories. Visit the LINE-X booth for an official entry form. LINE-X Protective Coatings (www.LineX.com) is the nation’s leading developer and provider of high performance protective coatings offering scientifically formulated polymers that permanently bond to a wide range of surfaces for unmatched durability. LINE-X products are utilized in automotive, commercial, light industrial, heavy industrial, agricultural, military, marine and custom applications. Headquartered in Huntsville, Alabama, with more than 400 locations in 36 countries, it is the goal of LINE-X to consistently produce the highest quality and most reliable materials available.